Now parents and students can take their student information with them on-the-go, with the first version of the Aeries Mobile Portal app for parents and students! 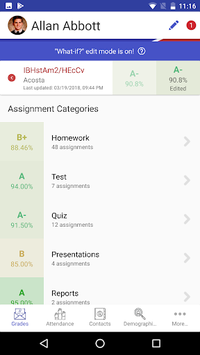 Put your Aeries student data in your pocket with Aeries Mobile Portal. 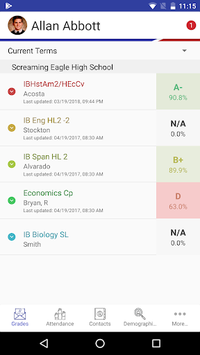 Check gradebook details, review attendance, and access Aeries Communications - right from the palm of your hand! Important - please note you can only utilize this app if your school district is using the Aeries Student Information System. 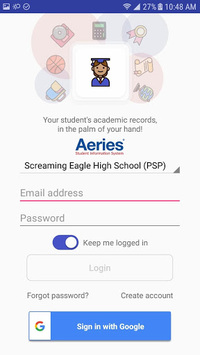 Contact your school for more information regarding compatibility with the Aeries Mobile Portal app.